Trump has been attacking immigrant communities since his first days in office and shows no sign of slowing down. His cruel elimination of DACA, a program that protects nearly 1 million young people, is only the latest of Trump’s many despicable acts. The fear that ICE will come knocking, tearing families apart, is one shared by millions of our friends, neighbors, coworkers, and classmates. More than 5 million children are at risk of losing a parent to deportation. Millions more could lose other loved ones—siblings, grandparents, aunts, uncles, cousins, best friends. 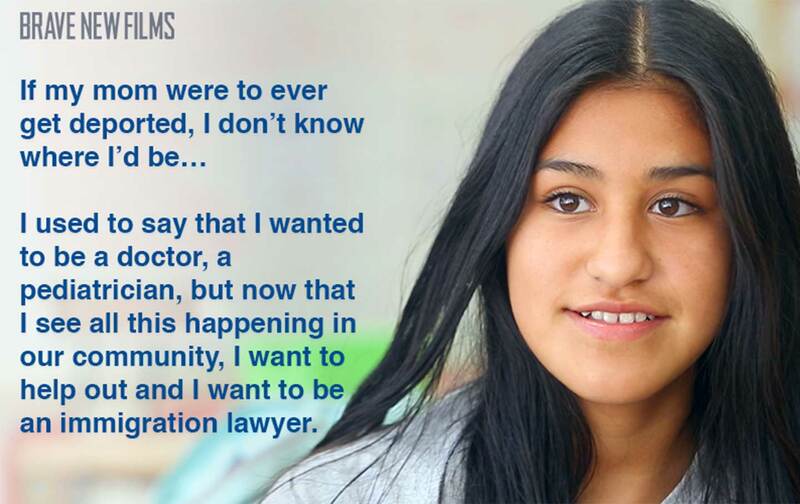 We need to defend families from deportation and we need your help to make these kids’ voices heard. We will be releasing a new film in our Divided by Deportation series each week throughout September. Subscribe to our Facebook page to get the next installments and share these stories with everyone you know to motivate them to action. You can watch the first Divided by Deportation film now on Facebook and share it with your community today.